Well, I wasn't able to get on yesterday but it got me thinking. Is there really a need to jump on here everyday? If you want to see my 10 Minute A Day drawings they're all on my deviantART. I think what I'm going to end up doing is posting when there's something to post and at the bottom throw some of the better 10 Minute Drawings I've done in that time. Let me know if you like me updating almost everyday and I'll comply. Anyways, Andrew Meyerhoefer and I are going to attempt to complete a 10 page (+ Cover) issue of Cowboy Mummy (who is apparently called the Ragged Rider now and gone through a costume change) for a contest held by Alpha Dog Studios to get it printed in an anthology, win $400, and be offered a 2-4 issue miniseries if we win. 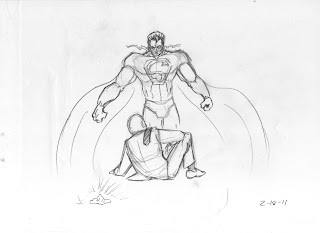 So here's hoping and you'll start sparingly seeing some pencils of the comic as I get to them and get them done. Finally, your TWO(2) 10 Minute Drawings since I missed yesterday. 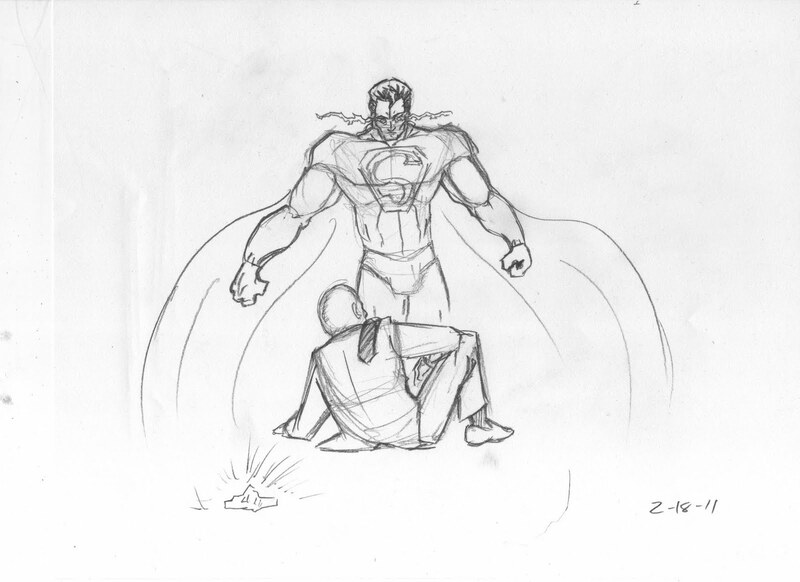 First up is a weird Superman/Lex Luthor thing I had going that fell a little flat. 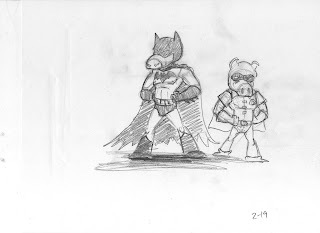 Second is Bat-Ham and Piglet which came out much better, so pay more attention to that one. Remember, I'm going to start posting only when there's really something to post and throw some 10 Minutes up then. If you've got a problem with that, voice it in the comments.